There are many benefits of owning a Private Mailbox (PMB) and PO Box. Both provide the renter with a safe and secure way to receive and access their mail. However, many people are often confused by the two. Click on link to learn the difference. Great reasons why a private mailbox might be what you need. US Postal Inspectors are warning the public about bogus emails being sent to postal customers recently. 1/28/2019 - Did You Get A Package That's Marked "Return To Sender" But It Did Not Come From You? What do you do If you received a returned package with your address but DID NOT send it? 1/14/2019 - Beware of Work-at-Home Scams and Reshipping Fraud! Learn why it is best to use a new box when shipping sometimes. 11/26/2018 - Warning on Foreign Lotteries, U.S. Postal Inspection Service says "Don't Do It!" Shipping computers and other computer-related equipment can seem like a daunting task but with these simple tips, your package will be more secure and ready to ship! 10/29/2018 - Mailing Tape Matters When Packing! Some package tapes work good... others don't. Learn more. When using any United States Postal Service's self service kiosks, be aware that some fraudsters may be installing skimming devices on them that may be able to steal personal customer information. If you see any job ads on the newspaper offering full-time or part-time employment for the US Postal Service (with a 1-800 phone number to contact), be warned, this may be a scam. Click on link to learn more. Shipping internationally doesn't have to be stressful. Here are some tips to help you along your way. Be warned of websites with domain names that say they're connected to USPS and that charge up to $30 for a change of address service. 8/13/2018 - Do You Need Shipping Insurance? 7/23/2018 - Send Your Love To Our Troops With A USPS Military Care Kit! According to the USPS, the speed and handling of your mail if affected by the accuracy of the mailing address you have provided. So here are some simple items you should consider when addressing your mail. With the United States Post Office's Forever Stamps, you can use them to mail First Class letters no matter what the current postal rate is. Click to view great tip when using Forever Stamps. Effective ways to prevent identity theft. It happens sometimes. Delivery of your mail or package gets delayed or lost. But don't panic! There are several options provided by USPS to help determined where your package or mail is or whether or not it actually is lost. If your mail has not been delivered, here are some steps you can take. This May 13th, 2017, the 25th Annual Letter Carriers' Stamp Out Hunger Food Drive begins anew. 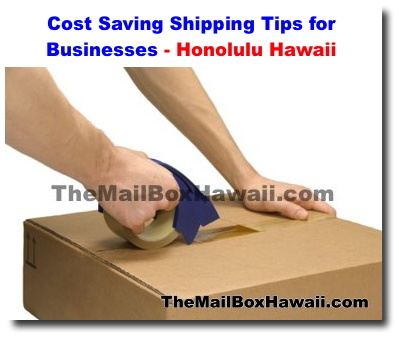 4/1/2017 - Hawaii Mail Box Services - Do You Need Shipping Insurance? 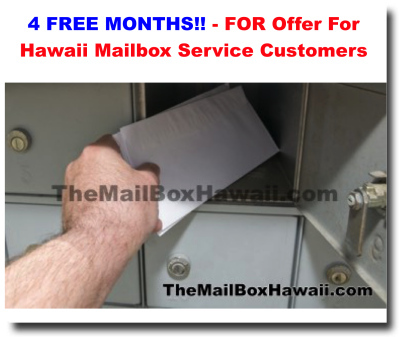 Best Hawaii PO mailbox services. When shipping electronics or expensive items, it might make sense to consider adding on shipping insurance however, this ultimately depends on the value of the shipment and what your risk tolerance level is. 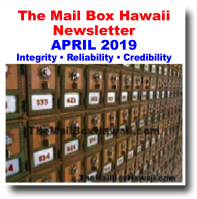 3/1/2017 - PO Mailbox Honolulu, Hawaii Tip - What is the difference between The Mail Box /Postal Service Hawaii and a P.O. Box? The MBC Contact Manager Database (MBC CMDB) is by far our most popular selling cross-platform (Mac and Windows) FileMaker® Pro database solution. cross-platform This database solution has been a proven winner for hundreds of clients for the last 20 years! 5/1/2016 - Send Your Love To Our Troops With A USPS Military Care Kit! Video commercial on the Perfect Tee plastic golf tee. 3/1/2016 - Do You Need Shipping Insurance? 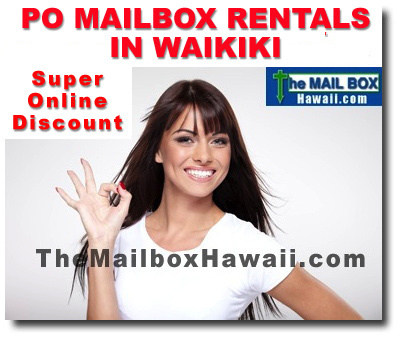 Our mission to provide the best resource for PO mailbox services in Honolulu, Hawaii and outer islands. Now that we've welcomed another new year, here are some important dates for you to remember. During these postal holidays, most United States Postal Service post offices will be closed and there will be no mail delivery on these said dates. Get into the holiday spirit with these new domestic and international Forever holiday stamps launched by the United States Postal Service. The new stamps feature festival holiday themes and are named Winter Fun and Global Wreath Forever Stamps. To help expedite the anticipated holiday rush of gift packages and mail, three United States Postal Service offices on Oahu will extend their operating hours this season. 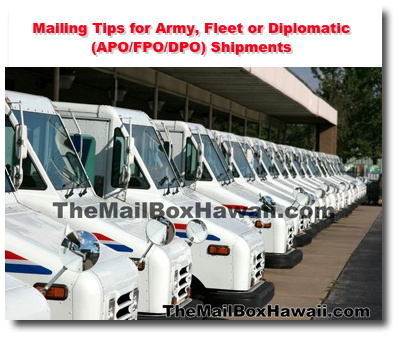 The Airport, Ala Moana, and Mililani USPS Post Offices will be open on Sunday December 7th and 14th from 10 a.m. to 4 p.m. If you're running a small business from home, renting a private mailbox gives you a more professional image than a conventional P.O. Box number. Find out how we can help! Whether you're a frequent traveler or going on a quick trip, here are some mail delivery options from the United States Postal Service that you can take advantage of. Mail forwarding is another convenient service that we offer. We provide you with a US-based mailing address, we then collect your mail and packages and send them to your forwarding address. 8/1/2014 - The Mailbox - Your Total Mailing Solution! Did you know that apart from a secure and convenient mailbox service, we also offer Mail Forwarding, Mail Tracking, Phone-in Mail check services among others. 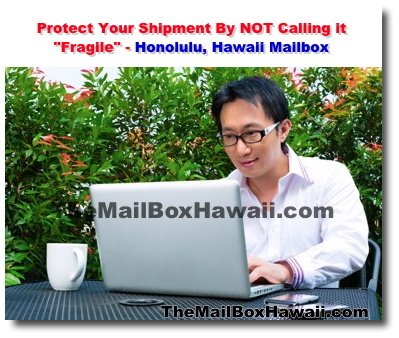 7/1/2014 - What is the difference between The Mail Box /Postal Service Hawaii and a P.O. Box? View map of our central Honolulu mail box location.